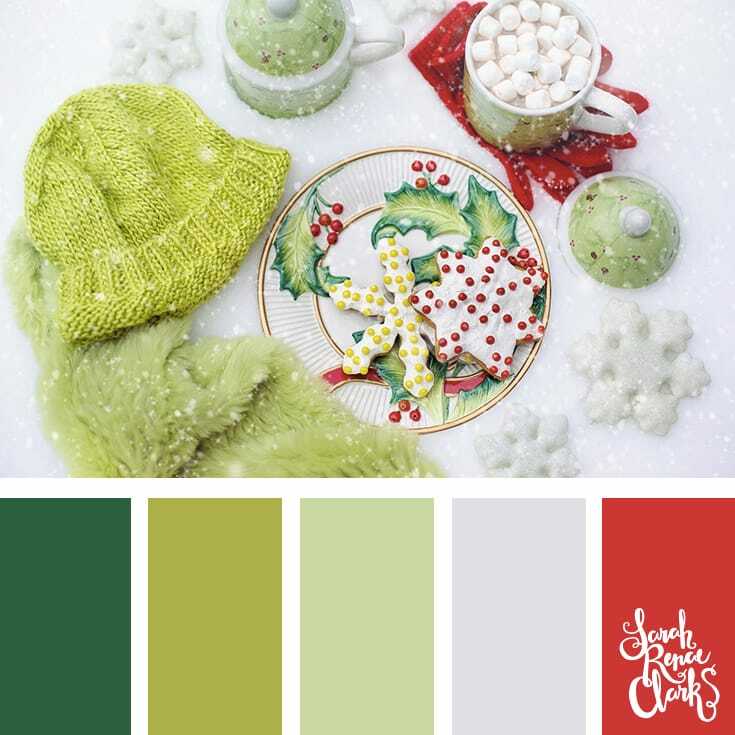 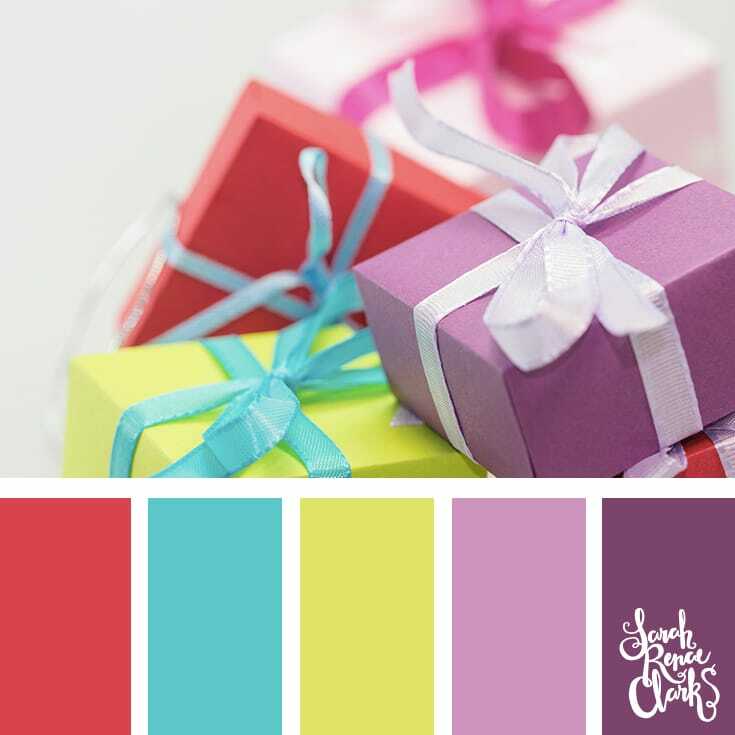 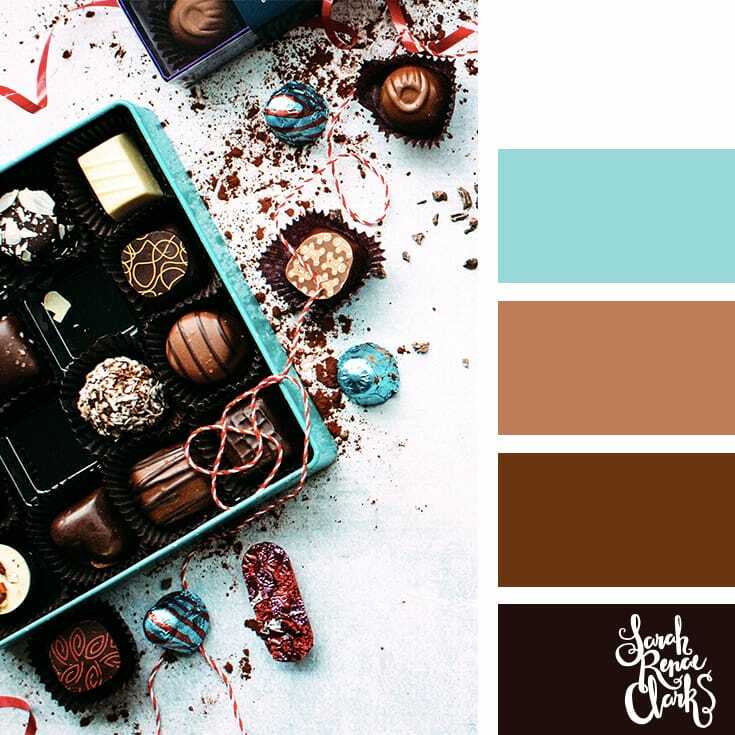 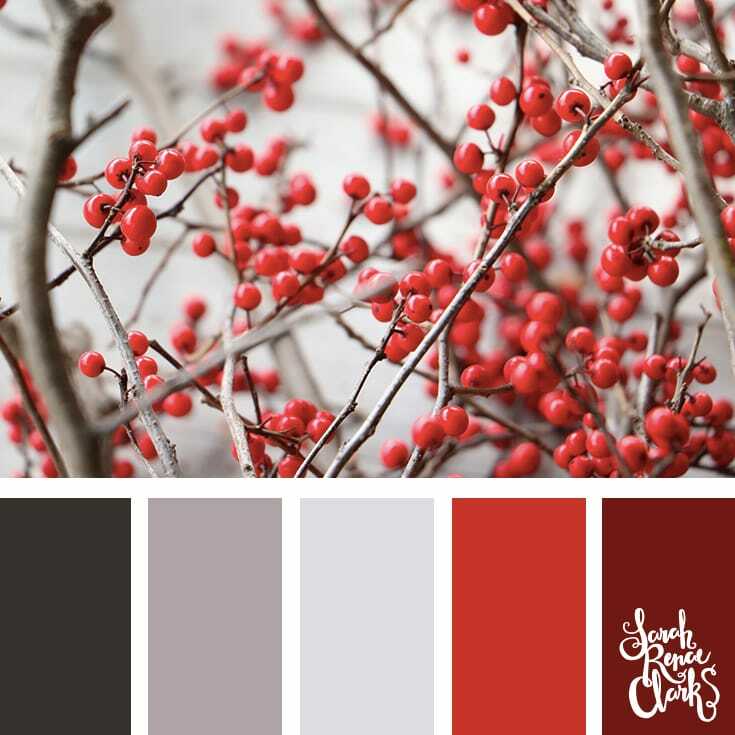 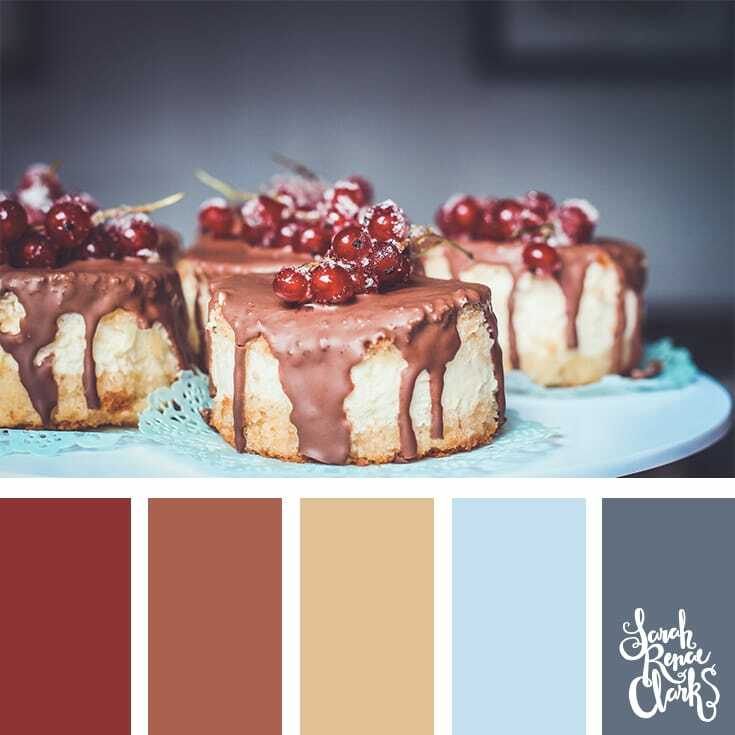 I love the colors of Christmas, so today I’ve made some new color palettes for you. 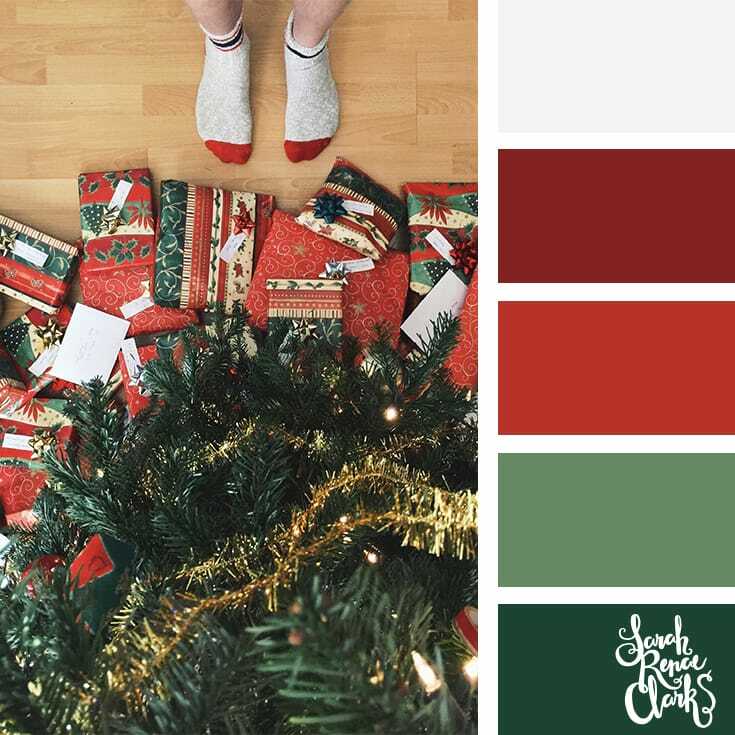 Christmas is such a magical time of the year. 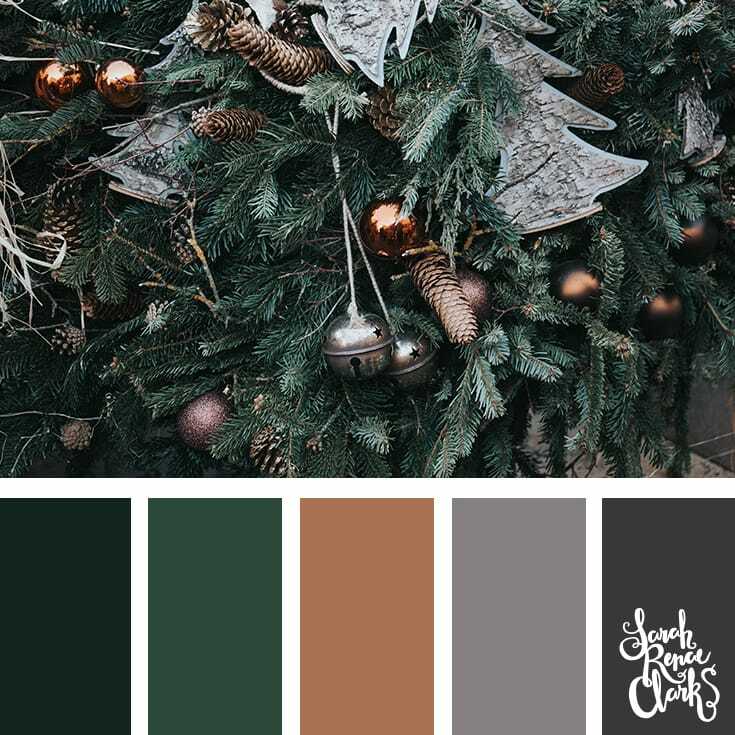 The smell of fresh pine throughout the house, infused with the many flavors of Christmas dinner – not to mention the gingerbread house that the kids spent hours decorating (my personal favorite!). But what colors do you think of when you think of Christmas? 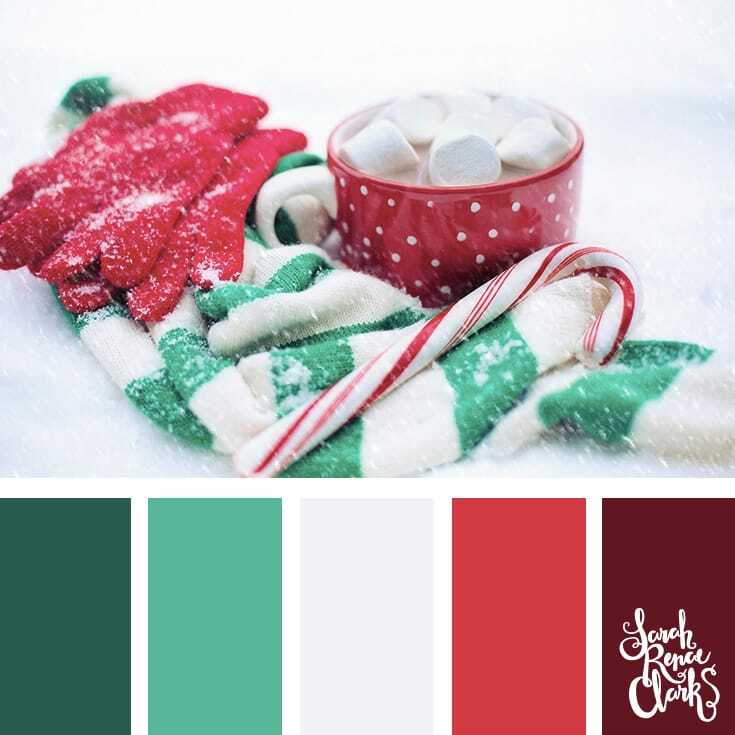 While most people associate Christmas with red and green, there are so many other Christmas colors to get inspired by. 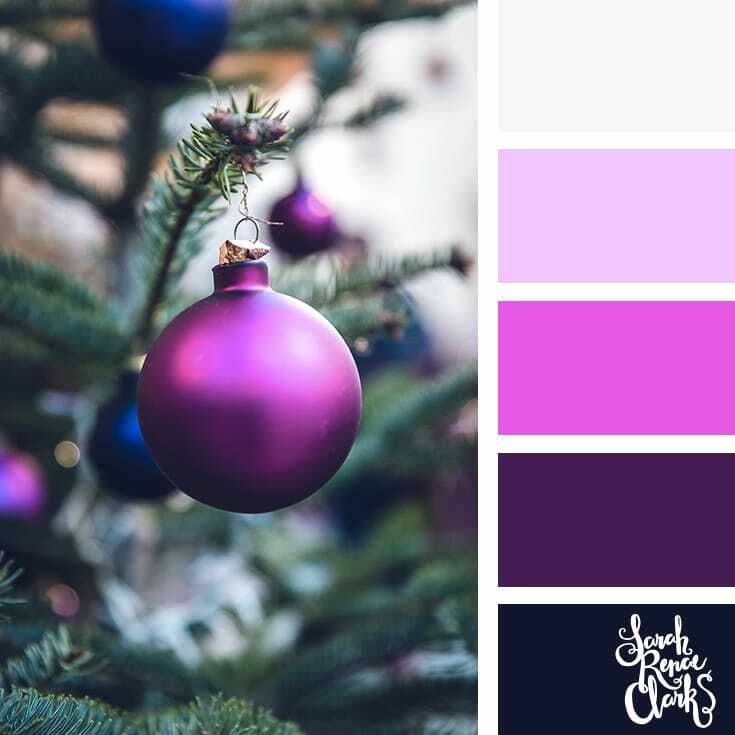 From gingerbread to Christmas gifts; from dinner with the family to cozying up by the fire – to I’ve gathered some beautiful images from Pixabay and Unsplash that remind me of all the wonderful things about Christmas. 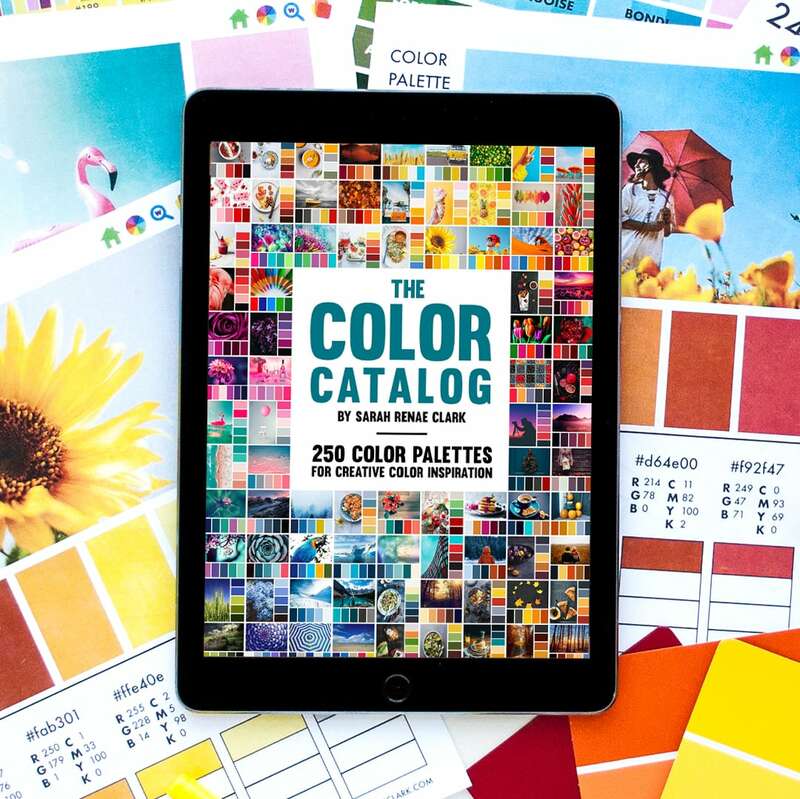 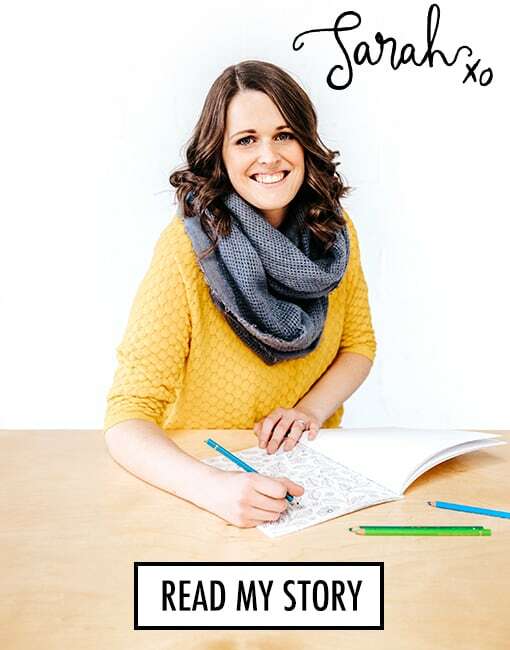 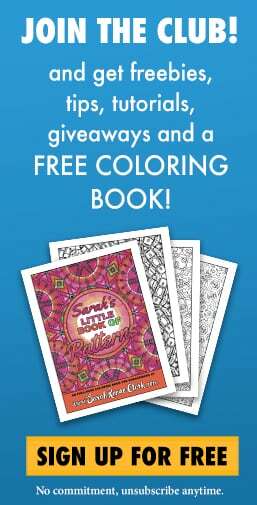 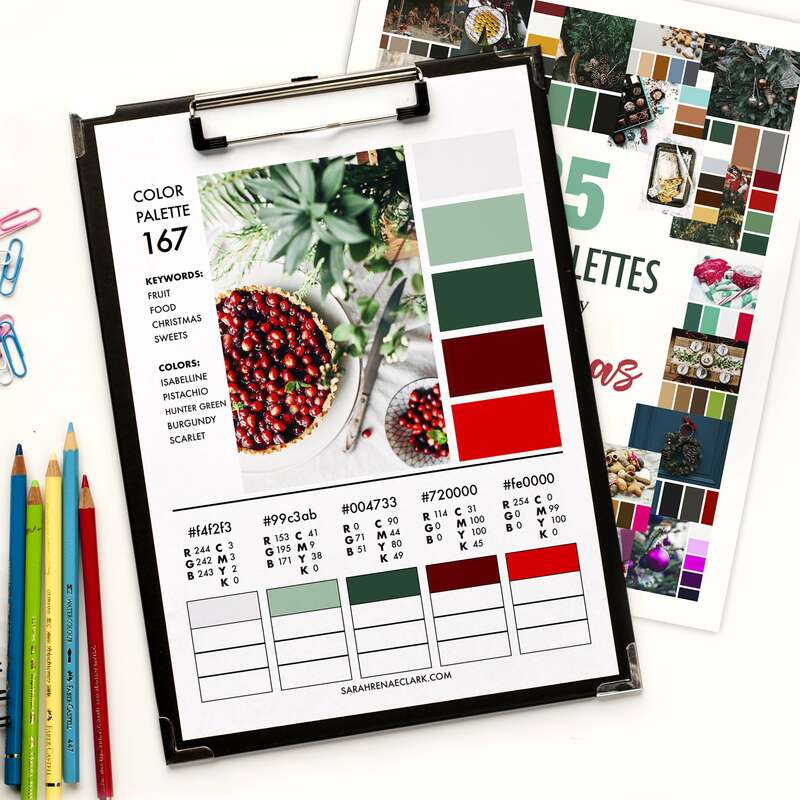 I’ve turned them into color palettes below so you can recreate the same feelings in your artwork or craft projects. 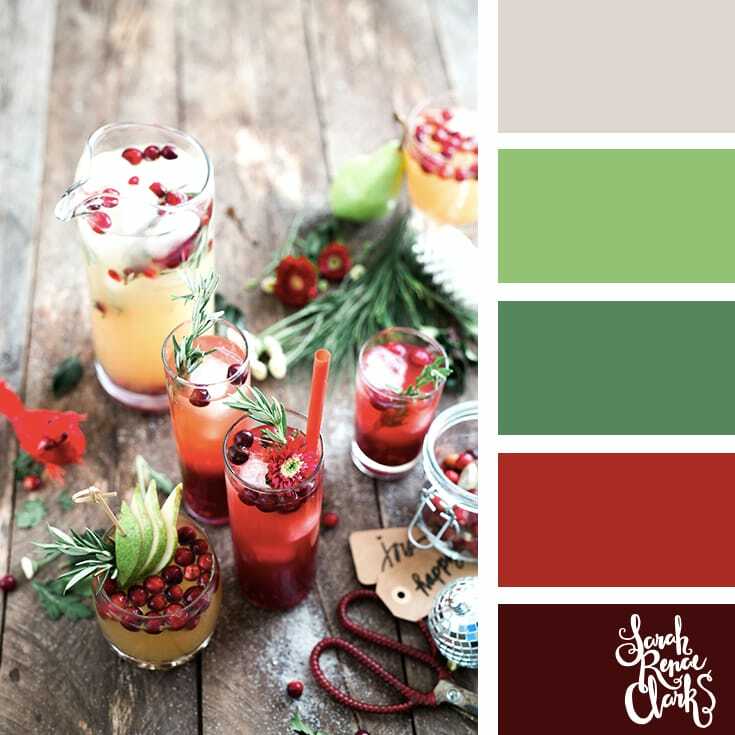 Please feel free to use these color palettes for personal use (right click – save as). 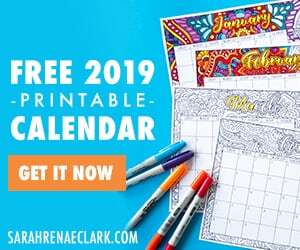 If you’d like to post them on social media, please provide a link to this blog post or credit @sarahrenaeclark in your main description. 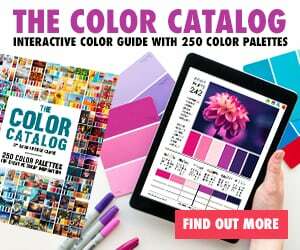 Please contact me if you’d like permission to use them on your own website or blog. 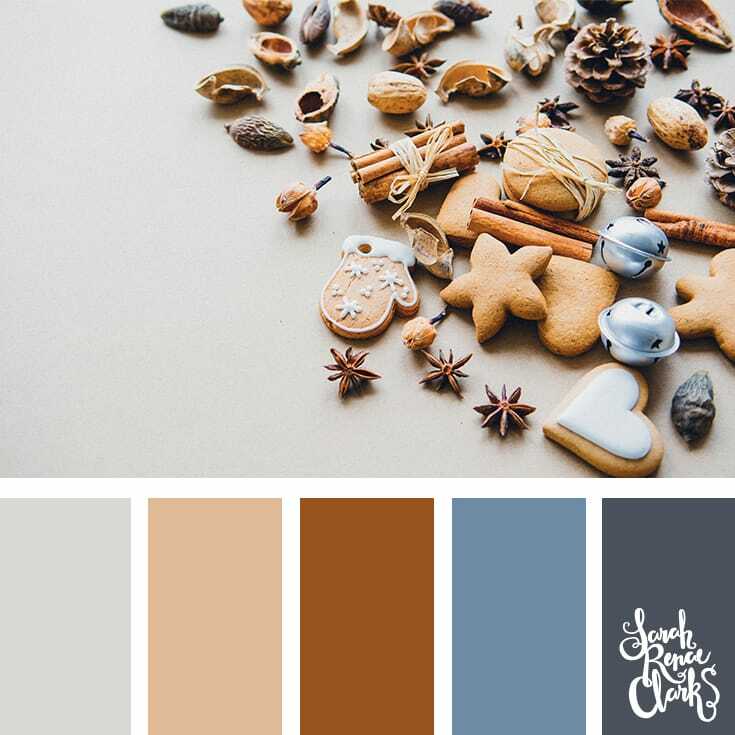 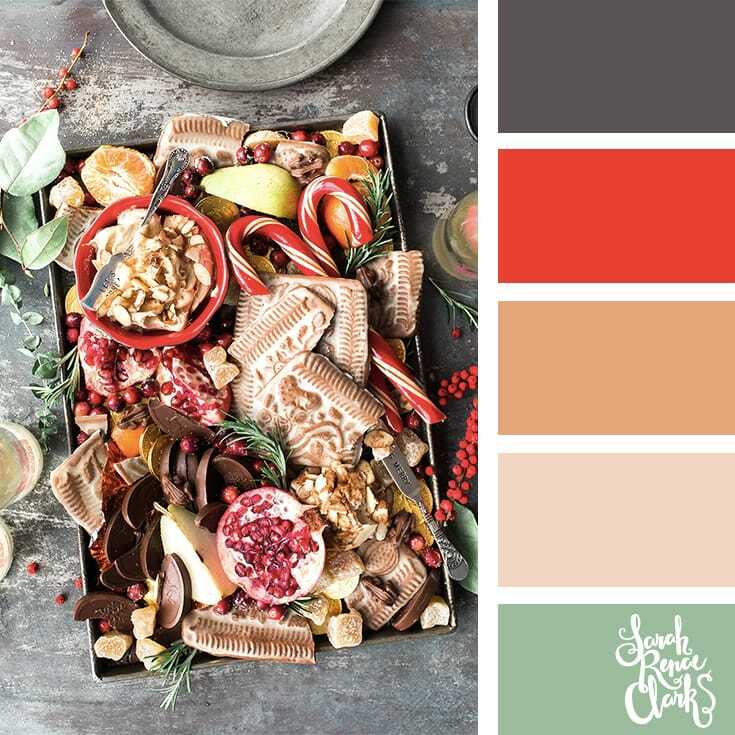 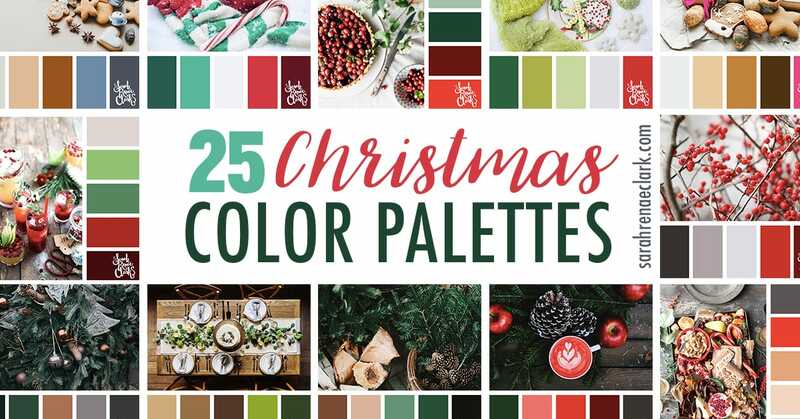 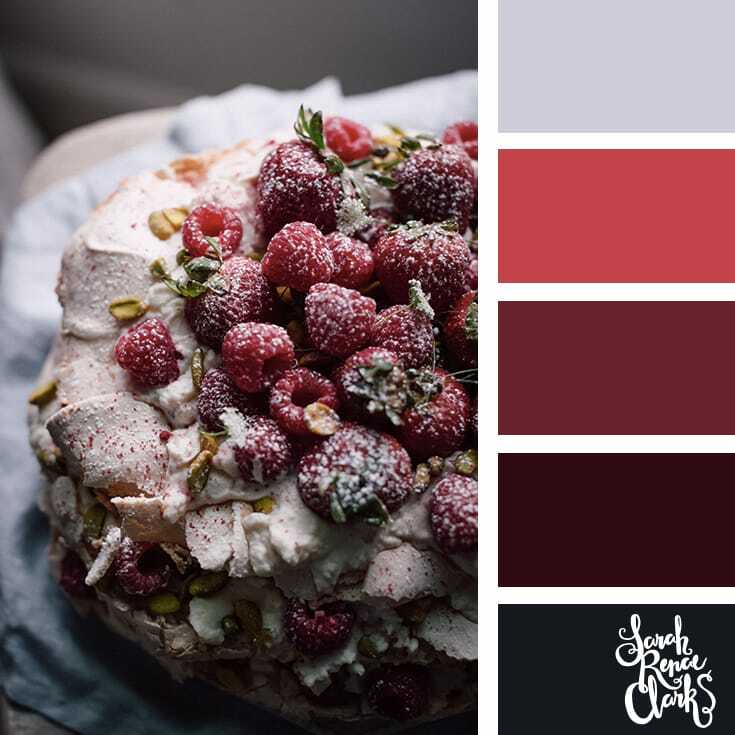 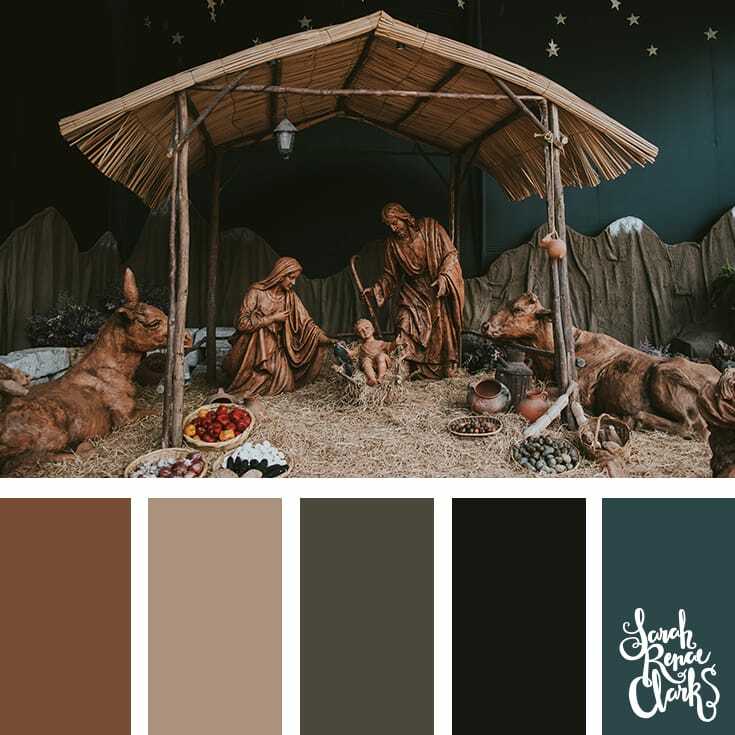 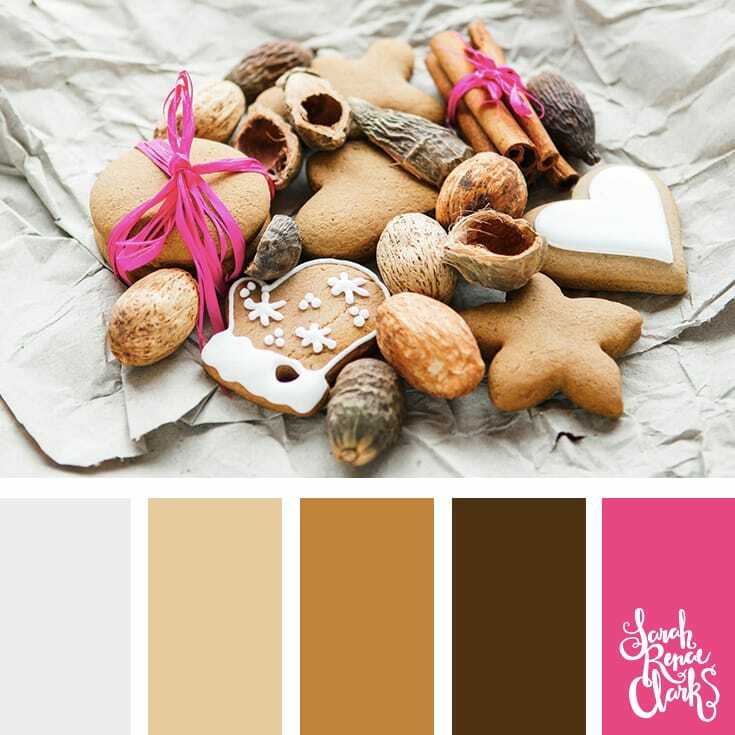 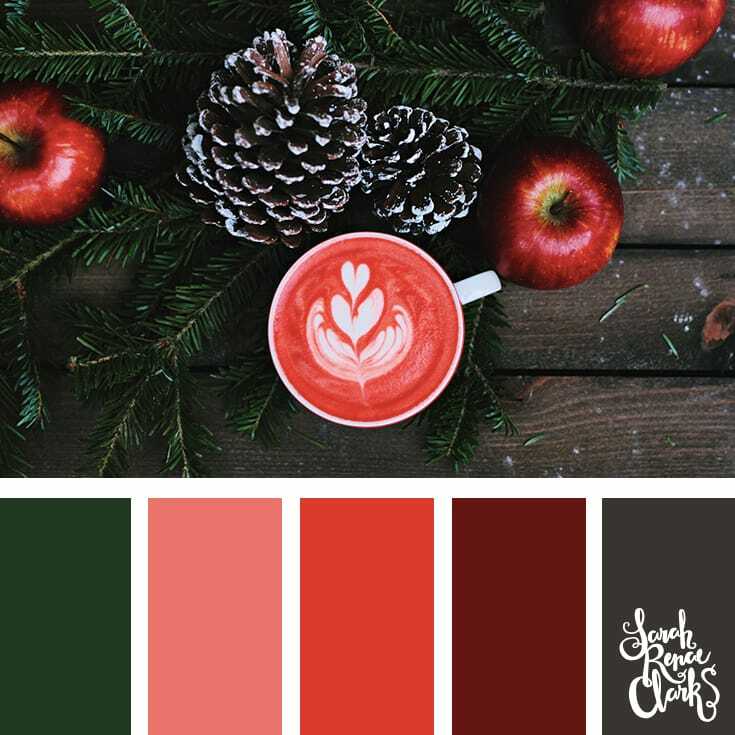 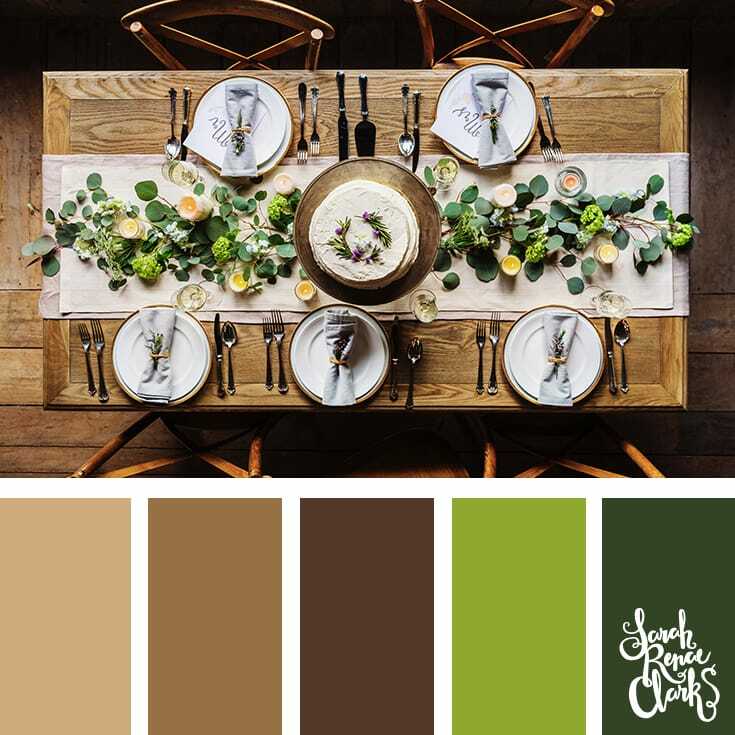 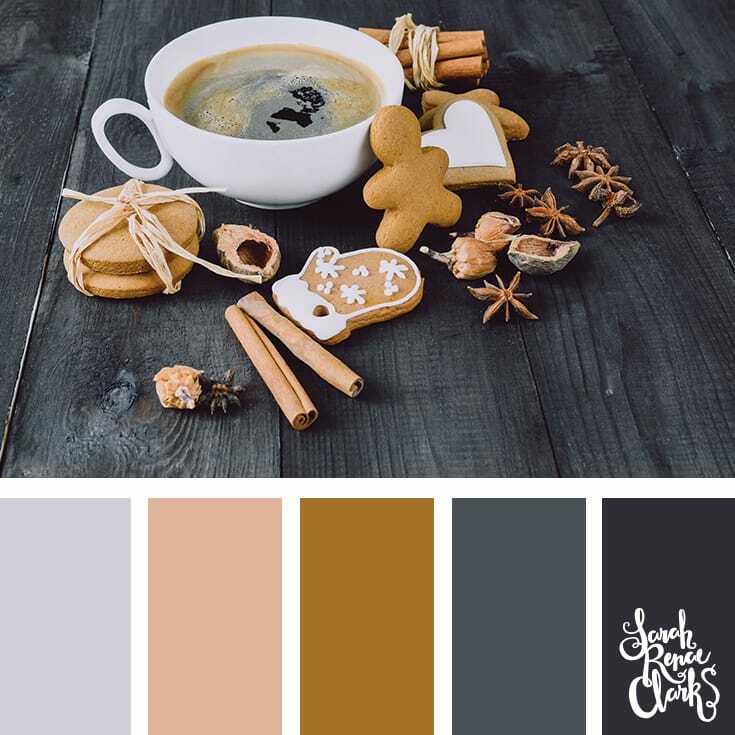 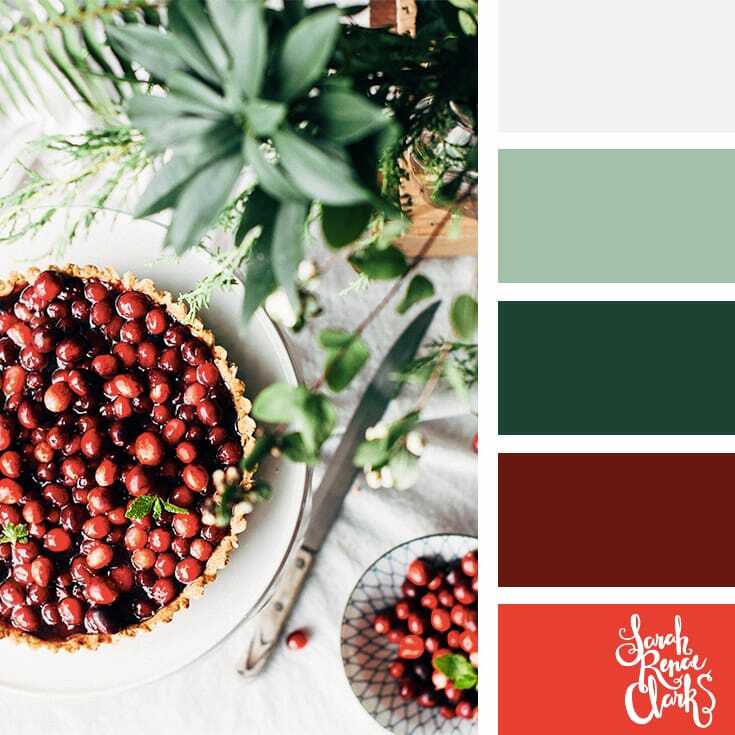 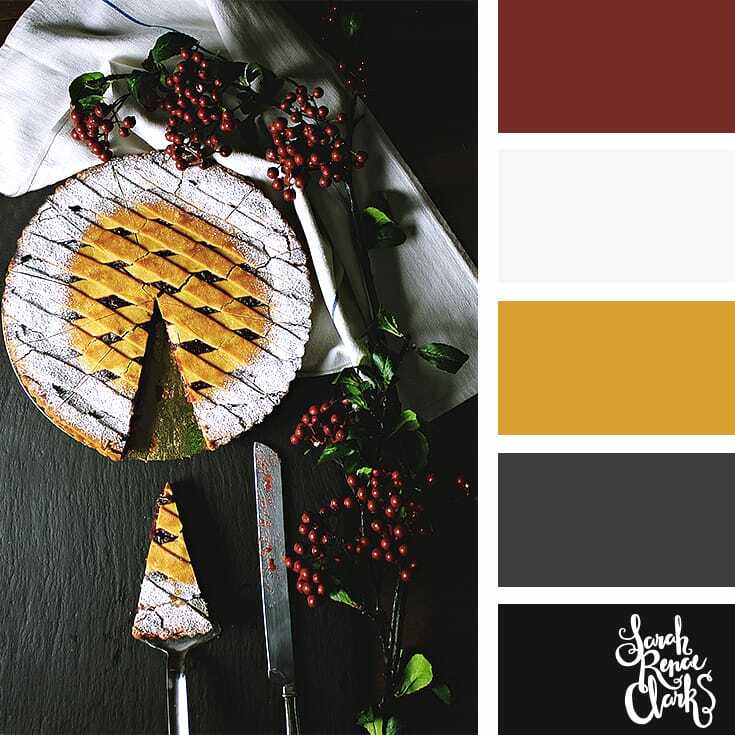 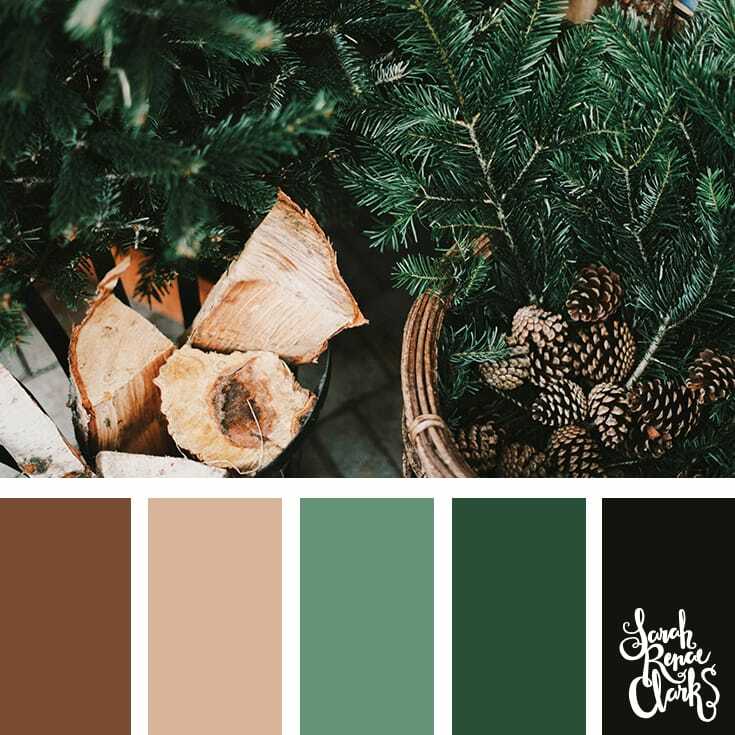 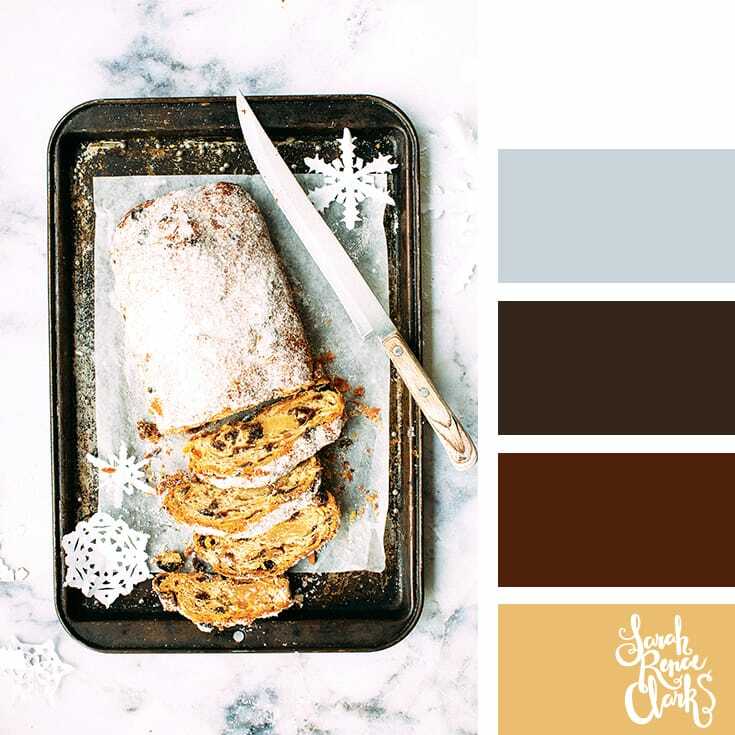 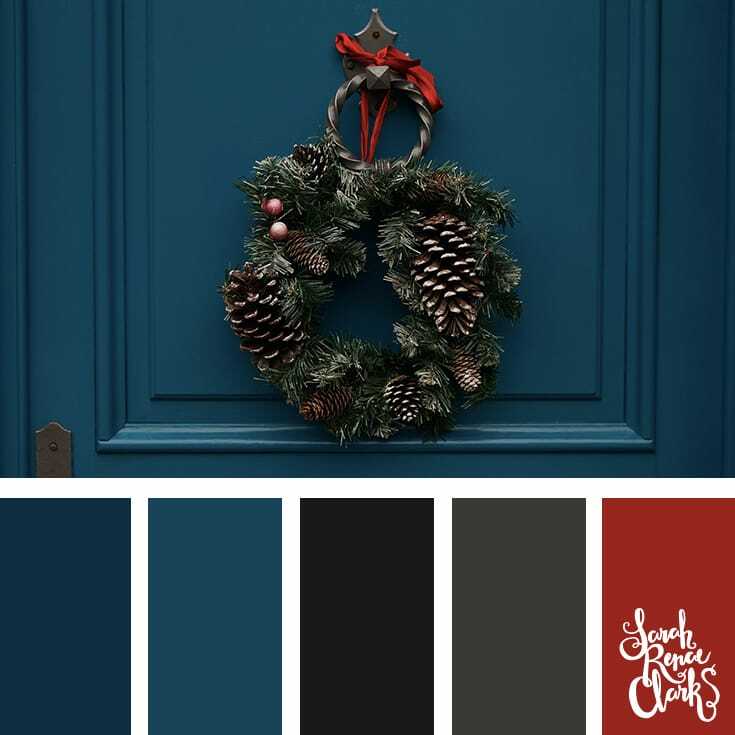 I’ve saved these Christmas color palettes (and more) to my Color Palettes Pinterest board so you can follow, save and repin your favorite color schemes from my whole collection! 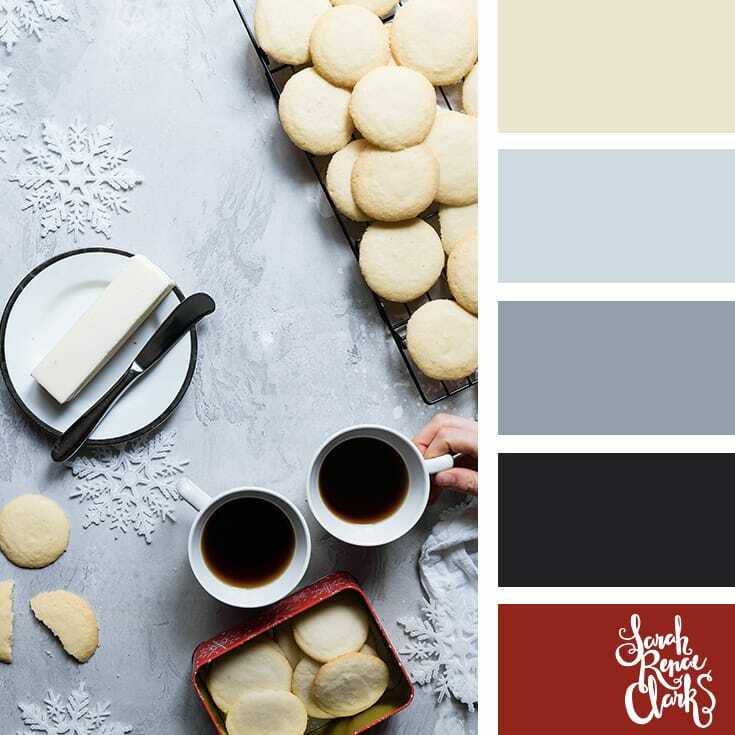 Do you have a favorite color combination for Christmas? 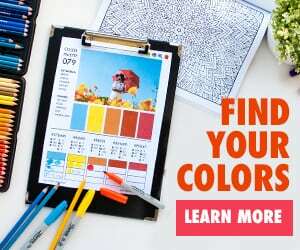 Please tell me in the comments!